Hello Dramatics and welcome back to another K-Drama Preview! Today I will be discussing the Korean Drama Prison Playbook. This drama has a huge and exciting cast which stars: Park Hae Soo, Krystal Jung of the K-Pop group (fx), and Jung Kyung Ho to name a few. Prison Playbook is directed by Shin Won Ho who is responsible for directing the ever so popular “Reply” Series (Reply 1997, Reply 1994, and Reply 1988). Prison Playbook tells the story of Kim Jae Hyuk who is a baseball player who suddenly becomes a prison inmate. This drama will explore the life and stories of these inmates. Park Hae Soo as Kim Jae Hyuk. His poster says, “How much longer do I have to be here? Krystal Jung as Ji Ho, a college student who is majoring in Oriental Medicine. Lee Kyu Hyung as a second generation chaebol who gets booked for his drug habit. Prison Playbook is going to be a very exciting drama to watch! I look forward to learning about all of these characters and seeing how they handle prison life. Will you be watching Prison Playbook? Leave a comment below and let me know what y ou think! Remember to follow me on my You Tube Channel for more Asian Drama and Movie Reviews, Twitter and Instagram! Remember To Keep Calm And Drama On! Happy Drama Watching! Hello Dramatics! It’s you favorite Drama Queen back again with another exciting K-Drama Preview. Man-Hole: Feels So Good tells the story of an unemployed man named Bong Pil (Kim Jaejoong) who falls into a manhole by accident and ends up traveling back in time. The stars of Man-Hole: Feels So Good are: JYJ’s Kim Jae Joong as Bong Pil, UEE as Kang Soo Jin, Jung Hye Sung as Jin Seok, and B1A4’s Baro as Jo Suk Tae. Let’s learn a bit more about our characters. As you can tell by the video teasers and posters this drama is bound to leave it’s viewers with tons of laughs and adventure! Man-Hole: Feel So Good is the second time-slip drama of KBS this year after The Best Hit which ended recently. It will premiere on August 9, taking over Seven Day Queen on Wednesdays and Thursdays. I am looking forward to watching this exciting drama! Will you be watching? Leave a comment below and let me know what you think! 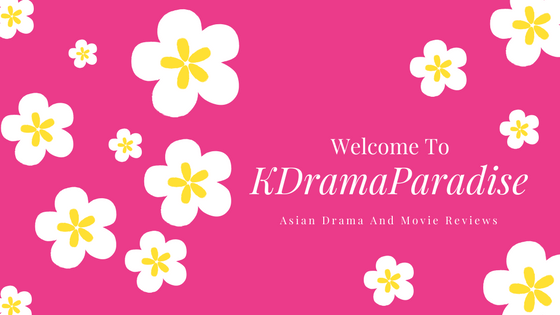 Remember to follow my You Tube Channel KDramaParadise for Asian Drama and Movie Reviews! Remember To Keep Calm And Drama On! Happy Drama Watching Everybody!